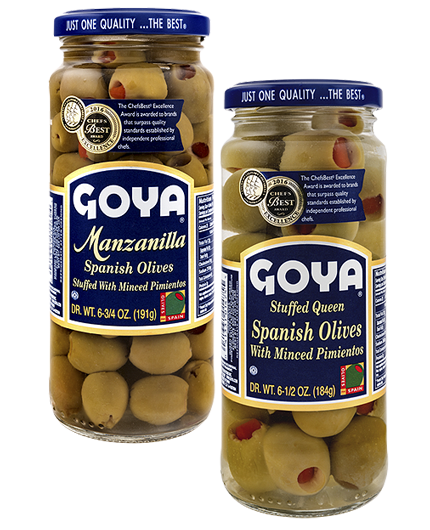 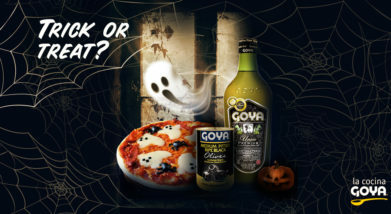 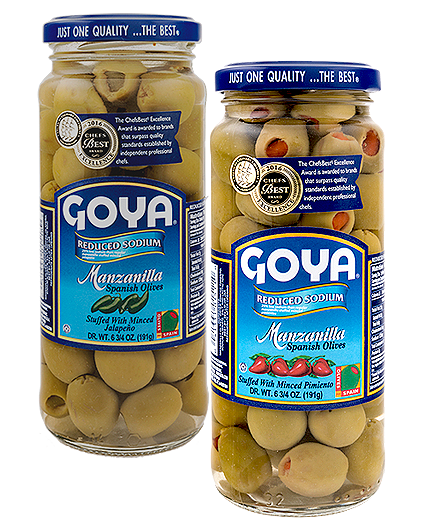 With a choice, very mild flavor, and meaty, high-quality flesh, GOYA® Ripe Black Olives are carefully selected, complying with rigorous specifications which differentiate them from other olives on the market. 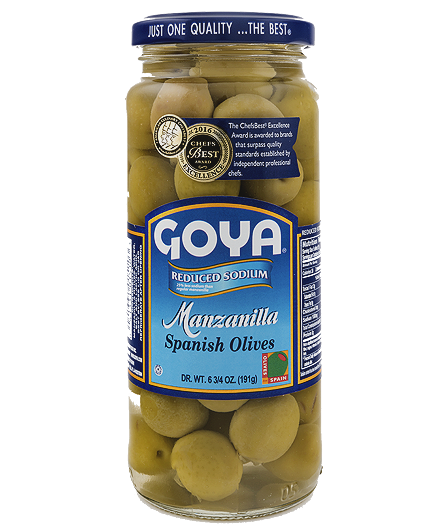 This juicy fruit will entice even the most discerning consumers due to its irresistible appearance and firm texture. 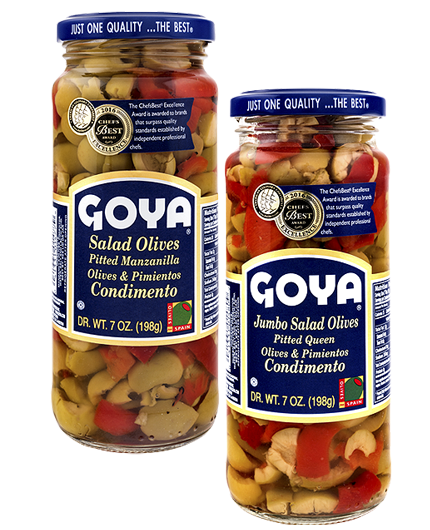 Container: Available in easy-open tin cans and glass jars. 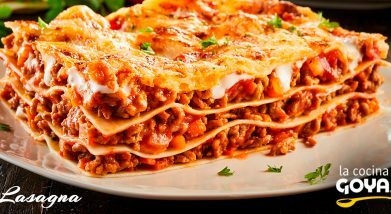 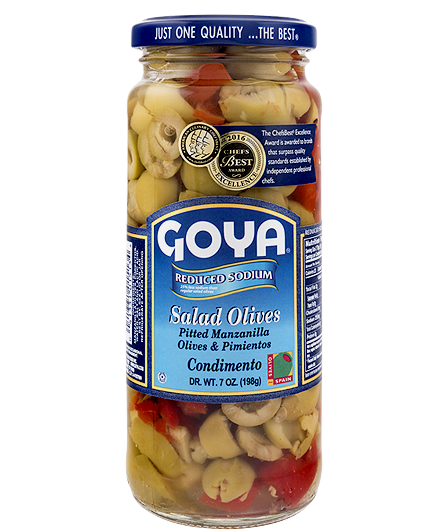 An excellent ingredient to add to salads, cold dishes, seasoned potatoes, pizzas, Russian salad, as well as a healthy appetizer and decorative element for providing recipes with a touch of color. 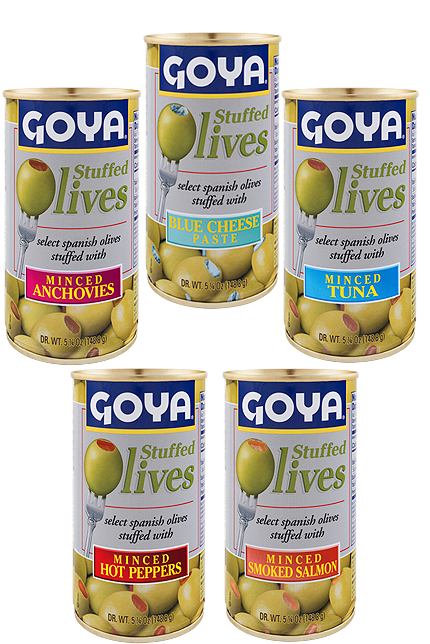 The presentation of GOYA® Sliced Ripe Black Olives is very convenient for adding to chicken soups or fish stews (hake, cod), and they highlight the flavors in these dishes as well as in Latin American cuisine -in tacos, enchiladas, rice-. 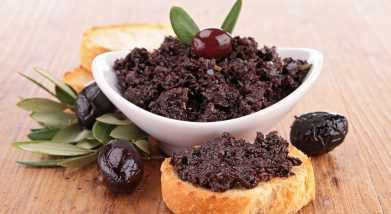 Their preparation process involves accelerated oxidation, following the method called: “California-Style”, in order to achieve a ripe black olive with a softer shade on the inside and a more intense, darker, and completely homogeneous shade on its exterior. 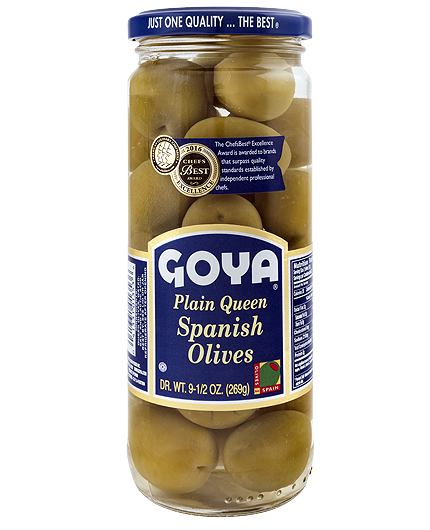 This is also how we get the olives to lose bitterness for a wider range of use. 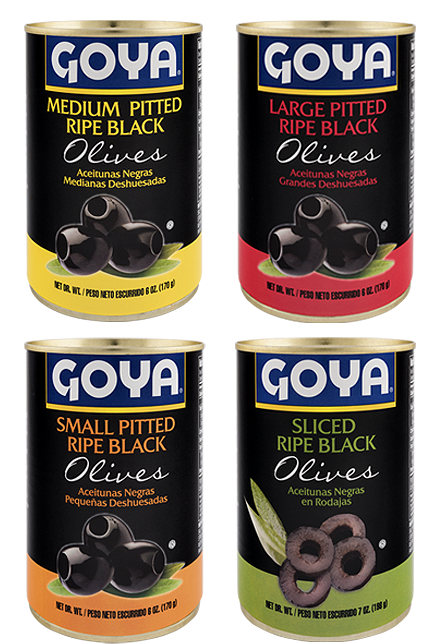 You will find our GOYA® Ripe Black Olives in three size variations, according to different uses and preferences, and these same olives are also offered sliced. 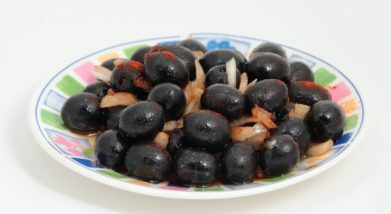 Black olives contain polyphenol antioxidants which facilitate the lowering of cholesterol, and have anti-carcinogenic properties. 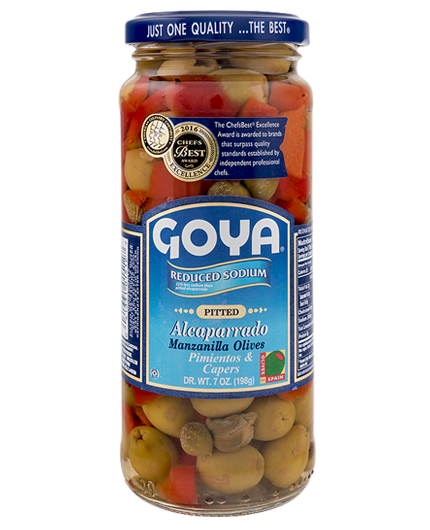 Marinated Black OlivesElaboration:Just as our grandmothers prepared them, you mix the GOYA® Ripe Black Olives with finely chopped onion, salt, crushed sweet paprika and GOYA® Extra Virgin Olive Oil. 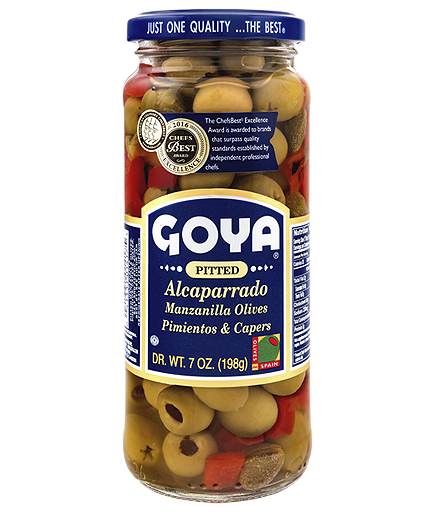 Classic tapenadeElaboration:With about one can of GOYA® Ripe Black Olives you can prepare this adding 4 fresh basil leaves, half a clove of garlic, approximately 10 GOYA® Capers, one anchovy fillet and about 80ml of GOYA® Extra Virgin Olive Oil.